HomeBlogTaxDo you want $1,000 tax deduction per year? The US is the fattest country in the world, with two out of every three Americans considered overweight. It is a real as well as an expensive problem. They are likely to incur $1,500 each year in medical expenses. The American medical system is burdened with an extra $190 million in annual costs, which is an ultimately preventable condition. You might ask: How to prevent it? How to spur people towards gym? 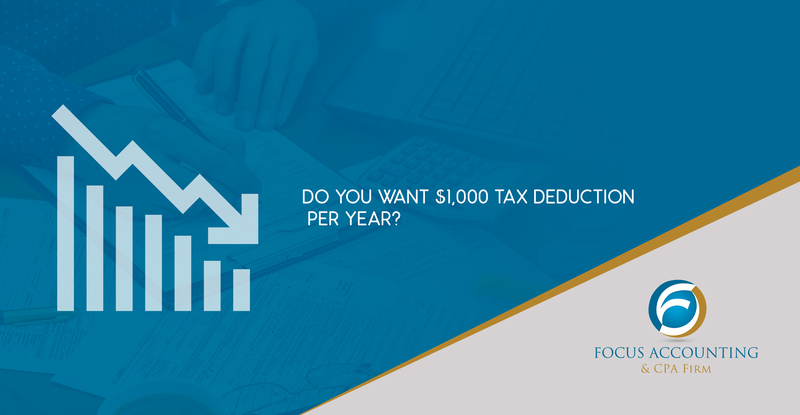 A deduction of up to $1,000 per year is very possible. What if the cost of a gym membership and the related tools were tax deductible? That would definitely give you a boost and help bring about real changes in your physical fitness regimen. One Congressman is betting on it. Jason Smith, (R-Mo) introduced HR 6312 — the Personal Health Investment Today, or “PHIT” Act ” — which seeks to encourage healthy lifestyles by providing a tax deduction of up to $1,000 to individuals who want to get in shape. Under the current law, Section 213 of the Internal Revenue Code provides a deduction for any amount paid for “medical care” that is not otherwise compensated by insurance. Medical care includes amounts paid for health insurance premiums, qualified long-term care services, diagnosis, cure, mitigation, treatment, and transportation. Safety equipment used in a program of physical activity. A “fitness facility” is required to meet certain standards in order for the membership fees to be tax deductible: it may not offer golf, hunting, sailing or riding facilities, or be a private club owned and operated by its members.